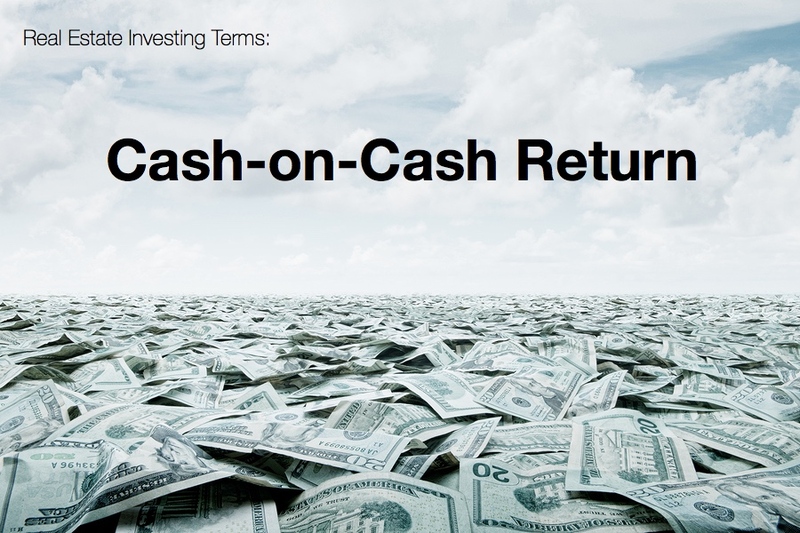 Real Estate Investing Terms: Cash On Cash Return – ~EARN. INVEST. REPEAT. When performing the Cash-on-Cash Return napkin test, I won’t further analyze anything that is below 12%. The target is 15% and higher but if we can still hit our $100/month cash-flow minimum, we’ll consider it with a lower CoCR. The best way I understand CoCR is like this. … For the scenarios below, let’s pretend I have $50,000 in my Pensacola bank account. We’re going to make a lot of assumptions here, but remember this is just a napkin test. Scenario 1: I pay $50,000 cash for a 2 bedroom/2 bath single family house that yields $700/month in rent and Cash Flows $300/month. Over the course of the year (assuming 100% occupancy) my Cash Flow is $3,600 (i.e. $300/month x 12 months). So I take that $3,600, divide it by the $50,000 I spent on purchasing the home and that yields a 7.2% Cash-on-Cash Return for this Pensacola house. Compared to the return I receive on my savings accounts, this is an improvement, but not what we’re looking for on a Pensacola real estate investment. Scenario 2: I pay the same $50,000 as a down payment on a $250,000 4-plex multifamily property (most Pensacola banks require 20% down on a rental property). This 4-plex is made up of 2 bedroom / 2 bath (just like our single family residence in Scenario 1). Each unit of our 4-plex brings in $150/month in cash-flow. Less cash flow than Scenario 1 to accommodate for the mortgage payment each month. Again, assuming 100% accuracy for the year, we now have $150/month x 12 months x 4 units = $7,200. Since we used the same $50,000 as a down payment, we divide $7,200 by that same $50,000, giving us a 14.4% Cash-on-Cash Return. Actually, if this were a real world scenario, Scenario 2 is within range of passing the napkin test and would continue on through our Tripod of Investing Criteria. It doesn’t hit the $200/month cash flow # just yet, but more due diligence will reveal if we can increase rents or add another source of revenue from the property to bring those #s up. To compare, let’s say I just keep that same $50,000 in my Pensacola savings account. The current APR is <1% but sticking with easy math, let’s pretend it is 1%. My return on that “cash” is 1%, or, very horrible…only $500. Considering inflation rates, my return would actually be negative, but that topic is for another post. I recently changed insurance providers because of this one property and scenario. My insurance was coming up for renewal and thought, what the heck, let’s shop. Sure enough it was worth it. Once my, now new, insurance provider reviewed my policy and last home inspection, he came back with amazing news. If I installed Hurricane Clips on my roof, my premium would go down approx. $394/year. Cost to install the Hurricane Clips = $965, yielding a Cash-on-Cash Return of 40.8%. I’ll take it! More details of this scenario coming out in a future post. Stay tuned.